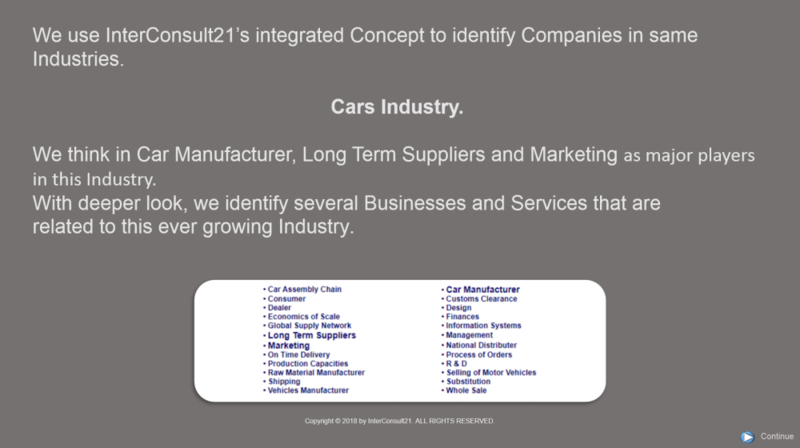 We aim to increase interaction of Companies and Services in the Car / Vehicles Industry across the Globe. We are inviting Companies in the above fields to be listed in our newly established Strategic Supply Chain for the Car / Vehicles Industry. Once added to this list, we will actively increase the interaction between members of that list to use each other full capacity, capability and resources to benefits from each other and to implement Projects related to the Car / Vehicles Industry around the World. If you are already a Member / Subscriber to our Concept in one of the above fields, you will be invited to include your Company in the List. You can also Click on the box of Strategic Supply Chain when updating your Info. 2. Select a category that bests suit your Company in the Car / Vehicles Industry.